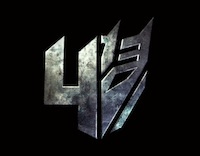 Possible Titles for Michael Bay’s Transformers 4? The same brand protection agency that registered TransformersDarkoftheMoon.com back in 2010, has registered a few new domain names that could be possible titles for Michael Bay’s untitled Transformers sequel. MarkMonitor, which is also the registrar for the Transformers 4 official website, registered names for Transformers: Last Stand, Transformers: Apocalypse, and Transformers: Future Cast. Stay tuned for more on this soon. The June 27, 2014 release stars Mark Wahlberg, Jack Reynor, Nicola Peltz, Stanley Tucci, Kelsey Grammer, Sophia Myles, Li Bingbing, T.J. Miller, Han Geng and Titus Welliver.